The system was designed to enable production line like installation, to ensure minimal disruption to residents. System commissioning confirmed that walls met both AS 2382.5 and ISO 12696 protection criteria. 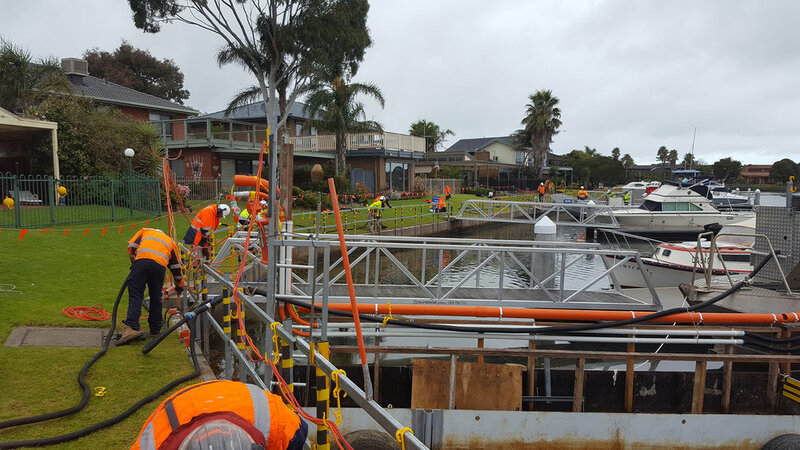 The Patterson Lakes retaining wall backs onto approximately 820 properties along the canals in the picturesque suburb, located 35 km south-east of Melbourne. Constructed in the 1970s from reinforced concrete blockwork. 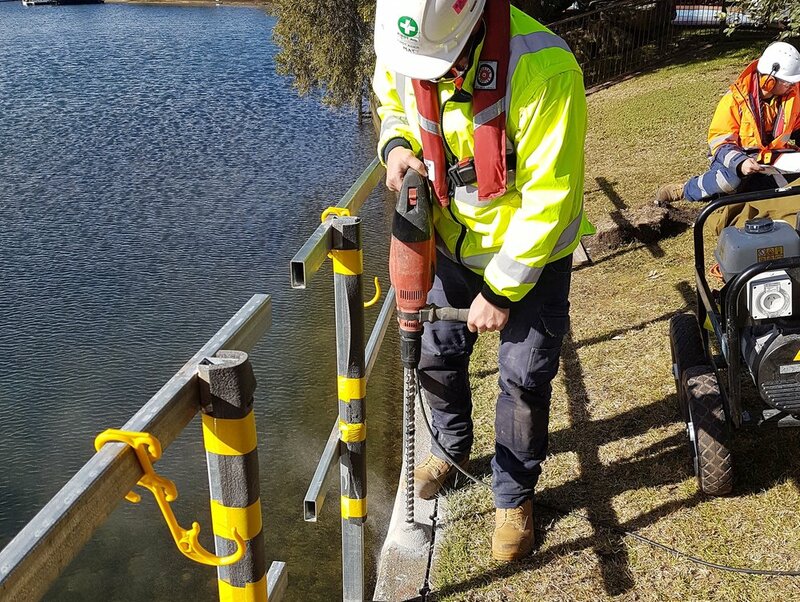 When John Holland-KBR Joint Venture was engaged by Melbourne Water to extend its service life for another 50 years, they partnered with Infracorr to develop a corrosion protection design. • There were several important safety factors to be considered in the design, including working at heights and near water, restricting access for the construction team. • Infracorr provided complete ongoing site QA assistance to JH-KBR JV, on-site training to the construction team, technical assistance and design modification, inspection of works and review of QA documents such as ITPs. • Hybrid CP utilised less materials than the initial concept design and will require less maintenance that an ICCP option, accounting for both technical quality and operational convenience.